You can get your meditation records from Apple Health or Google Fit if you use other meditation apps and trackers. 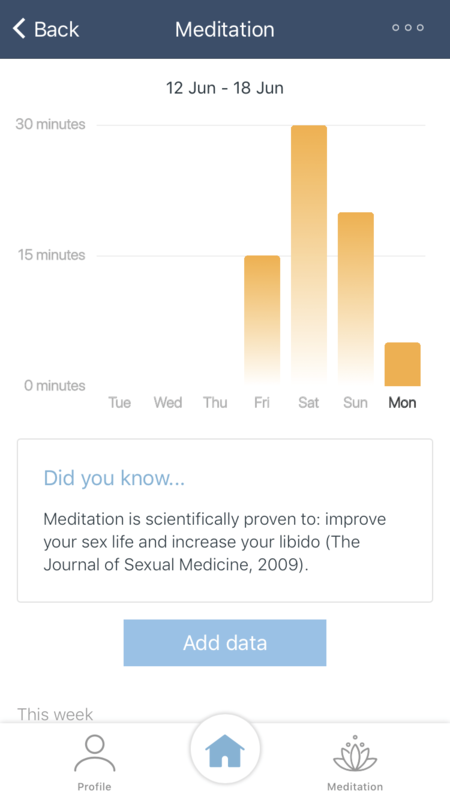 You can also manually add data about the time you have spent meditating in the DeepH app. The DeepH app comes complete with authentic shamanic meditation to help you engage with your routine.